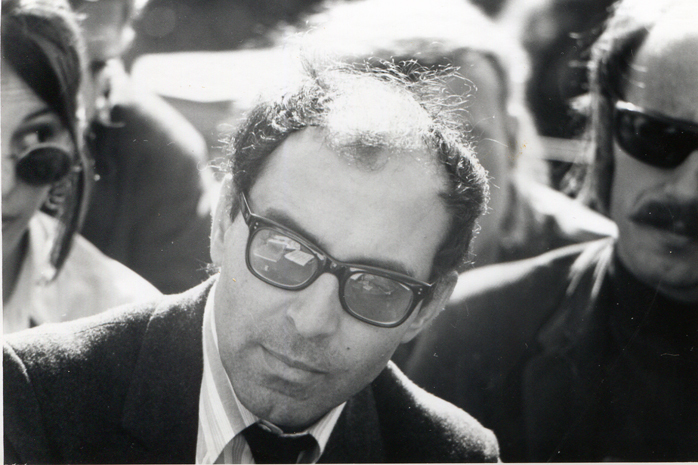 Like most of the Nouvelle Vague directors who remain interesting today, Jean-Luc Godard has played the role of film critic as often as he has the role of film director. While his cinematic compatriot François Truffaut got his start reviewing movies before he decided to make them, Godard never quite underwent the full conversion; his nonfiction works for the screen include the four-and-a-half-hour Histoire(s) du cinéma, a thoroughly idiosyncratic take on exactly the subject you would think it covers, and even most of his feature films turn back on their medium and "interrogate" it — to use, I suppose, an academic term fallen slightly out of fashion. Then agan, Godard himself has also gone somewhat out of style, not that it drains any of the fascination out of his filmography, and certainly not that it makes his opinons less relevant to fellow cinephiles. You'll find a collection of these Godardian judgments in the back pages of Cahiers du cinema, the journal that bred the lion's share of these French New-Wave critics-turned-filmmakers. On a page of critics' favorites lists maintained by a certain Eric C. Jonshson, you'll find Godard's top-ten rankings, as published by Cahiers du cinema for the years 1956 through 1965. I've often thought that it takes someone foreign to most clearly view America, and by the same token, it probably takes an outsider to most clearly view mainstream cinema. In this list, Godard characteristically provides both angles at once. Why not interview some female directors about what they like? It would be interesting to see what they say in comparison.